Want to reduce your stammer? Lynne Sowden (DipRCSLT) is a qualified Speech Language Therapist and has worked extensively with stammerers of all ages for over 30 years. 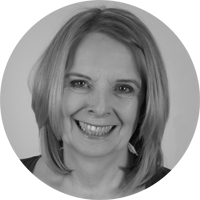 Lynne Sowden is a highly regarded and experienced Speech and Language Therapist and Performance Coach who has helped people of all ages to improve and recover their fluency. Lynne’s unique StammerLess programme is a method to assist and support you to become more fluent naturally and consistently. Lynne understands the frustrations and daily drawbacks that stammering can cause. A stammer can hold you back at work or in your social life. It can be a source of annoyance and disappointment. It can stop you from enjoying and pursuing the life you want. With Lynne’s professional help and support, all of this can change. StammerLess is already helping clients all over the world. Would you like to be next? Get in touch for a free consultation. You can book a Skype or face-to-face appointment to find out how Lynne can help you. If you are ready to make changes in your fluency, StammerLess is the programme for you. Lynne will support you all the way on your journey to greater fluency. I offer everyone a free 30 minute phone consultation to discuss how I can help you on your journey to natural fluency. Fill out the form below if you would like to arrange a call. Thanks for getting in touch. I'll be in contact with you soon! I still can't believe it but there are days when I forget that I stammer. It is amazing. Can't thank you enough. My life looks very different now. I am more than 95% fluent after working with you. And best of all I can now easily and fluently say my own name!! Thank you! !